It is with profound regret that we advise you of the passing of Dr. Thomas E. Lane, who was an Adjunct Professor in the Department/School since 1996, a member of the Mineral Exploration Research Centre Board of Directors since it was founded in 1997 (Vice-Chairman 1998-2003, Chairman 2003-2016), and an invited lecturer in the Exploration for Hydrothermal Ore Deposits course (2001, 2003, 2005). Tom was also involved in the design of the MERC-led NSERC-CMIC Mineral Exploration Footprints and Canada First Research Excellence Fund Metal Earth project, the largest industry- and academic-led mineral exploration research project conducted in Canada. Tom was a skilled and extremely knowledgeable geologist with over 45 years’ experience in the mineral exploration industry, particularly sediment-hosted Pb-Zn-Cu deposits and in the design and implementation of exploration programs from greenfields ground acquisition to integrated mining exploration. He obtained a BA in Geology from Franklin and Marshal College (Pennsylvania) in 1969, a MSc in Geology from Dalhousie University in 1981, and a PhD in Earth Sciences from Memorial University in 1990. He was Senior Geologist for Atlantic Canada (1974-1993), Senior Geologist - Special Projects for Eastern North America with Teck Exploration (1993-2000) and was a consulting geologist for Watts-Griffis-McOuat, Mustang Minerals, Rubicon Minerals, Cornerstone Capital Resources, and Halo Resources (2001-2007). 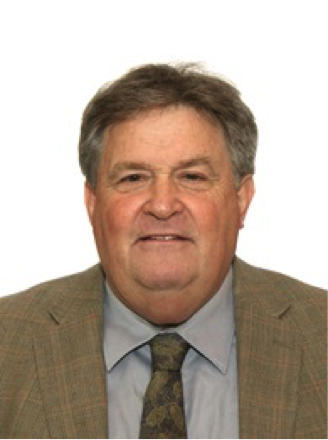 A strong supporter of joint academic-industry research, he was Director of Research Development for the Exploration Division (2002-2018) and Project Coordinator for the Metallurgy Processing Division (2011-2018) of the Canadian Mining Industry Research Organization; and served as Chair of the Management Committee for the Smart Mine CREATE Program in Mining Applications of Biogeochemistry (2013-2017). He also played an advisory role to geological surveys as Chair of government – industry liaison committees for the Ontario and Newfoundland and Labrador Geological Surveys, and was the longest-serving judge at the PDAC-MERC-SEG Student Minerals Colloquium (2014-2018). Tom’s friends knew him for his passion of geology and love of nature. He was an avid birder and had a love for wildflowers. He was a quiet, gentle, and soft spoken, but had a wonderful sense of humor. He will be deeply missed.